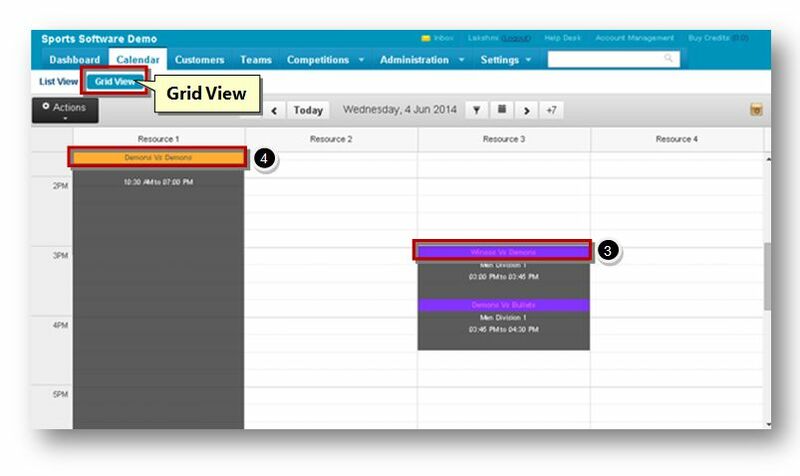 The grid view displays all the events, bookings, scratch matches, fixtures and games in the grid format. 2. Navigate to the Grid View tab. The Grid View section of the page will be displayed. 3. From here you can view the result of the match by clicking the name of the match. 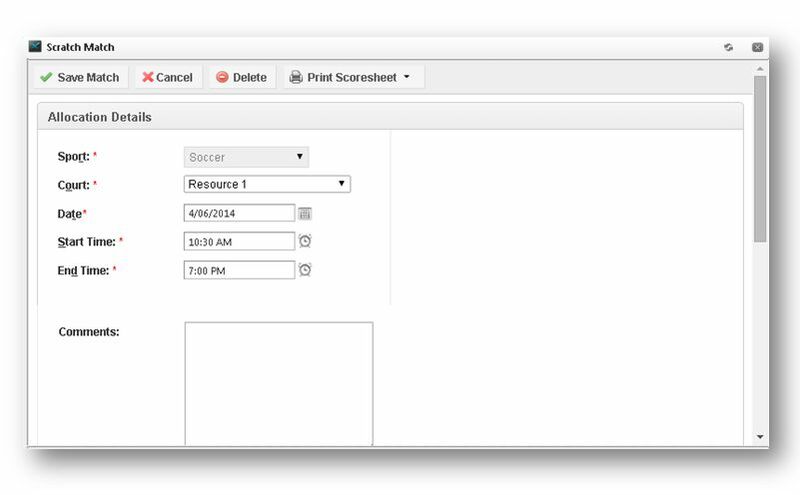 The Results dialog will be displayed. 4. You can also view and edit the scratch match details by clicking the name of the scratch match. From the grid view, you can also add a new booking, scratch match, manage player statistics and print or export the records by selecting the required option from the Actions drop down list. For more information, refer to the following sections.